As you know today I published an SEO trick which is Optimize Your Blogger Images For Better SEO. Now I am going to tell you something about read more links. 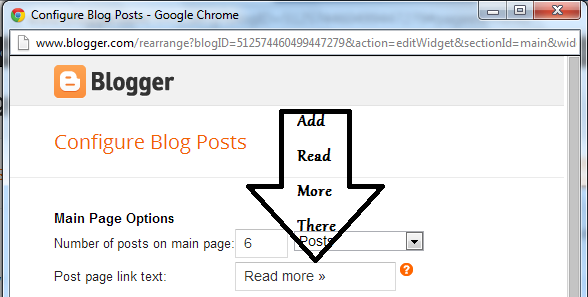 The read more link gives you more page views and after adding this you show more than 1 posts in your blog / website. This thing helps your visitor to see more posts without loading more pages. You can add Read More >> , Read Full Post etc. I am using Read More. as you have seen and have you ever imagined why I add this ? Simple Answer : To get More and More page views and from it visitors can see more posts without loading another page. Time saving !!! You are Done ! ! ! I am Publishing Chris Mores Our Daily Visitor Good Luck Mate ! ! ! !